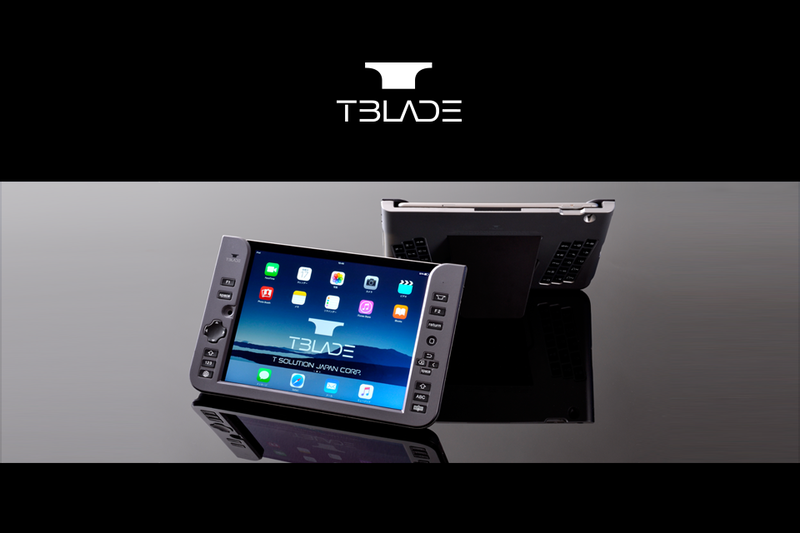 Sign up to get notified on the release of T-BLADE, related information and other updates on a periodic basis. 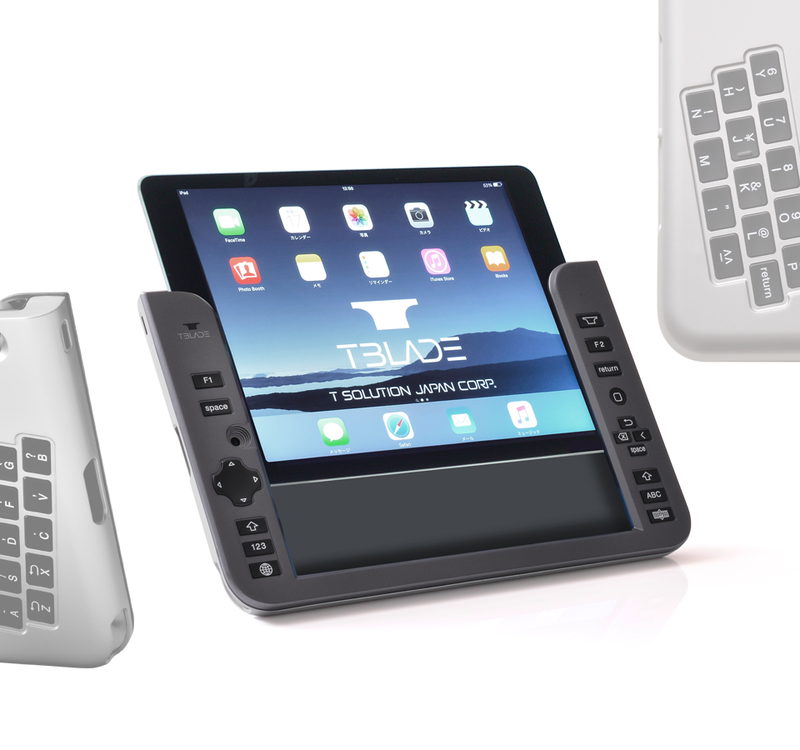 An innovative device to evolve your iPad. Compatible with iPad Air 2 and 9.7 inch iPad Pro. The world’s first back-typing Bluetooth keyboard (QWERTY keyboard). 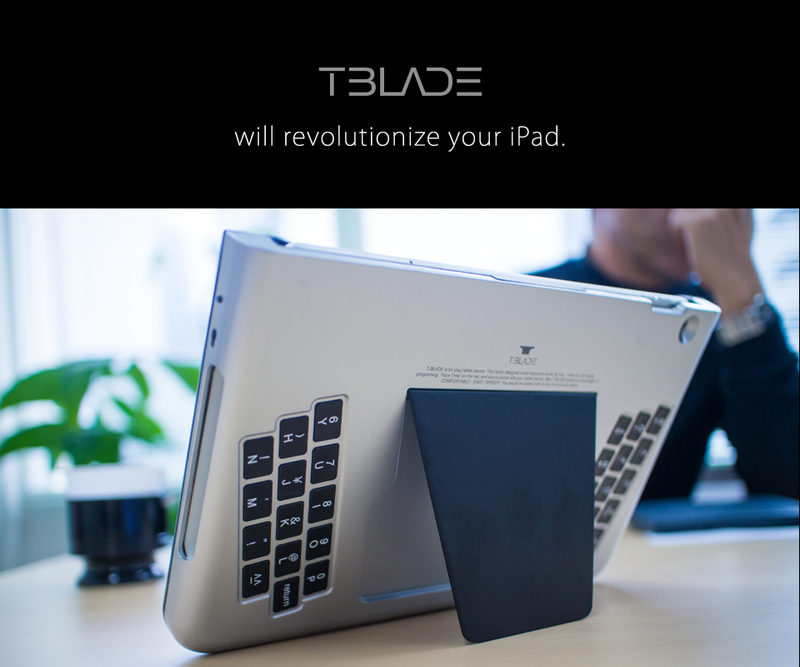 When you use your iPad with T-BLADE attached, you may feel your iPad grew its wings. 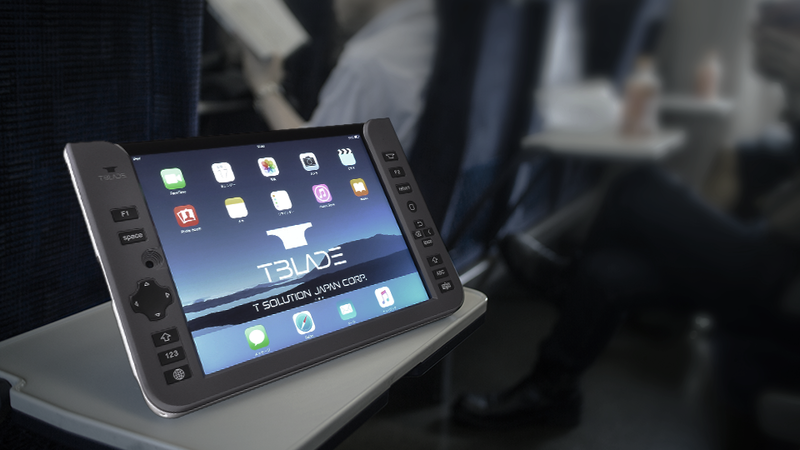 iPad is a super computer which enables you to do the things you want such as net-surfing, checking E-mails, video editing/photo editing, writing a report and reading in various locations. 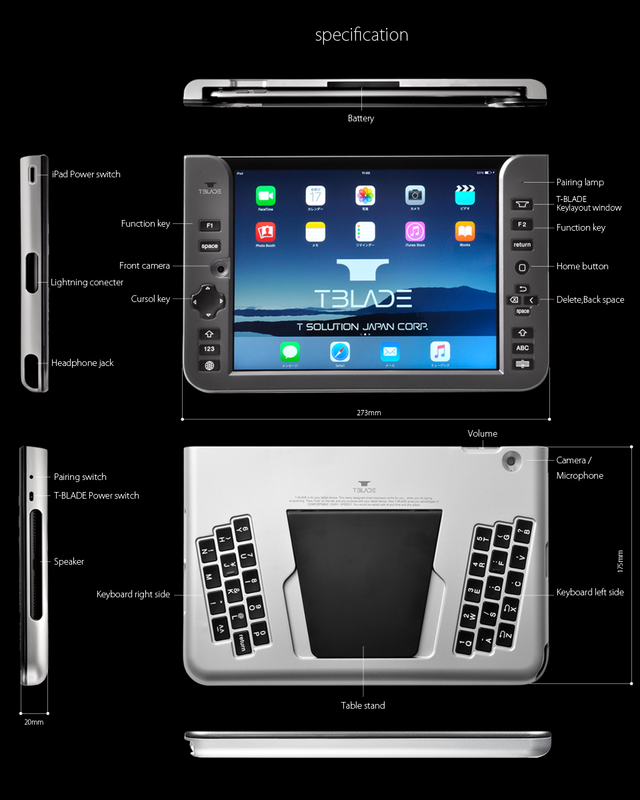 “T-BLADE” is a device that will further evolve these activities. While on the move, in business situations and when you visited a new city, you would gain freedom. 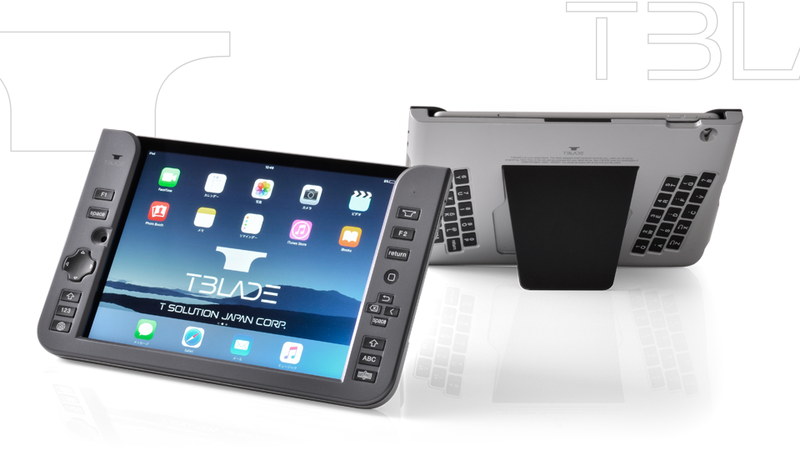 “T-BLADE” can perform in various scenes. 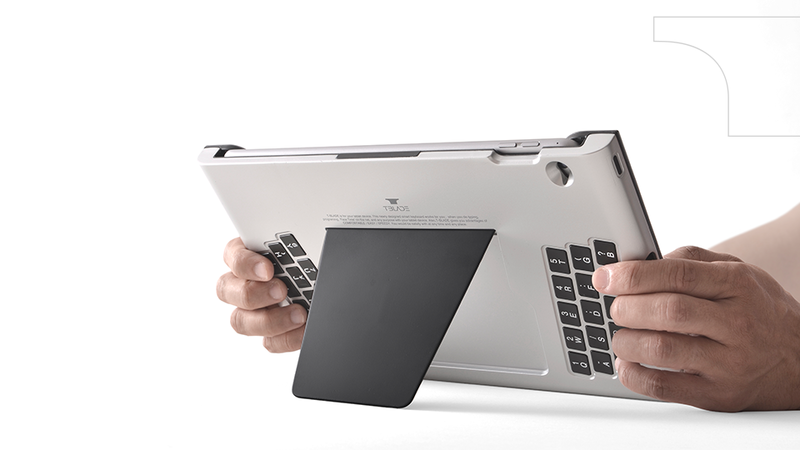 Enables you to have stress-free typing using the back-typing QWERTY keyboard at “anytime” and “anywhere” on the move.